Although a single-vane (butterfly) damper can be used for flow-control purposes, the majority of the air flow control is biased quite heavily towards the closed end of travel. This can make flow control at low flow rates quite challenging. As the number of vanes in a damper increases, the bias is lessened and more accurate flow control can be achieved over a wider span of the damper’s 90⁰ rotation. Another aspect to consider when planning air flow control is the symmetry of the air flow leaving a damper. 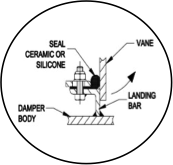 If a single vane damper is partially open, the majority of the air flowing through it will be deflected towards the wall of the adjoining duct work, causing turbulence and large eddy currents. This can also interfere with the accuracy of the air flow controls. Symmetrical air flow can be achieved by using a twin-vane (opposed rotation) damper, where one vane opens clockwise and the other opens counter-clockwise. Whilst there will still be some turbulence, as the air flows over the partially open vanes, the deflection of the air towards the duct wall is avoided and eddy currents are reduced, leading to more accurate air flow control. Given that the complexity and the number of moving parts increases with the number of vanes in a damper, the manufacturing costs also increase proportionally. 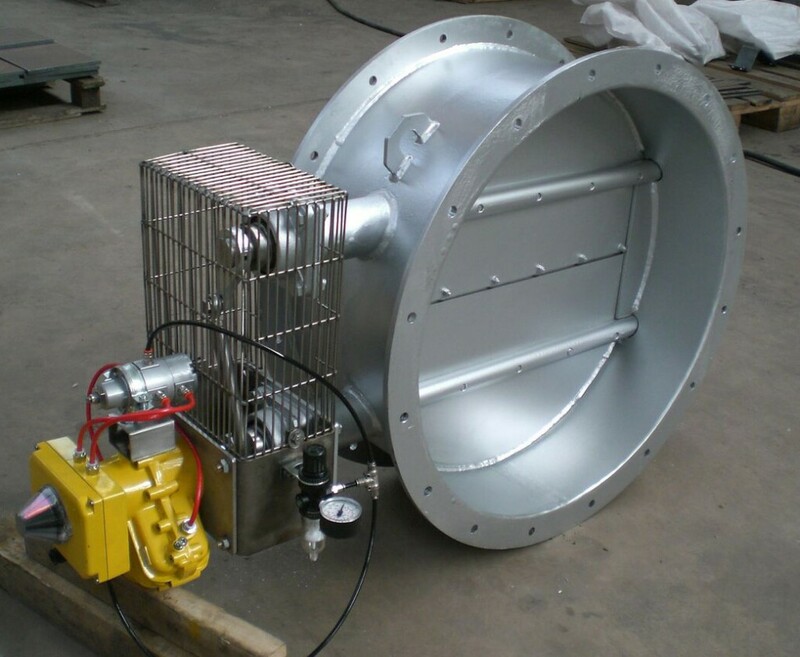 A twin-vane (opposed rotation) damper, therefore, represents optimised cost versus flow control capability. 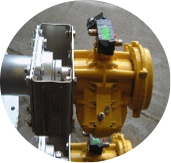 Regulating control can be achieved with either pneumatic or electric actuation with the addition of a positioner. This is usually controlled by a 4-20µA signal, but 0-10V control is also available on some positioners. A 4-20mA angle feedback transmitter and/or open/closed position switches can be fitted for indication of the damper’s position. The two vanes are externally connected by an adjustable linkage incorporating maintenance-free rod-ends.